Bushwalking Skills: The iPhone for Bushwalkers? 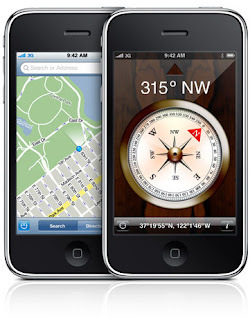 The iPhone 4.0 has many apps* which could be useful for bushwalkers, but will it ever replace the GPS for navigation? Will it replace your field guides, bird watching logbook and first aid book? Will the iPad with its large screen replace the iPhone in the field? The iPhone is very versatile and has enormous potential, especially as a multimedia viewer of locality aware information, as an audio player of podcasts, as an eBook reader, or as a research tool, using its medium quality camera in combination with the GPS to produce geo-tagged photos and to record routes taken and locations.